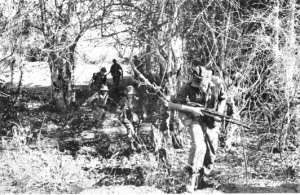 The Battalion ambushed Route 23 between the town of Dat Do and the Suoi Tre River just west of the Song Rai, from the Ist of February to the 8th of February, 1967. This operation was code-named TAMBORINE. It was believed that the Viet Cong would attack in the Dat Do area just prior to TET (the Vietnamese Lunar New Year period starting on the 8th of February). The enemy badly needed a victory to regain the confidence and support of the local inhabitants and to raise his own morale. As Intelligence later proved, the presence of the Battalion in the area disrupted considerably the plans that the Viet Cong had conceived and the preparations he had made for a major ambush on Route 44, the road south of Dat Do to the fishing village of Lang Phuoc Hai. It not only foiled this attack but also his TET leave preparations. C Company having secured the fire base on the Ist of February, A Company flew in the following day and moved into the area of operations on foot. C Company contacted 2 Viet Cong near the fire base on the 2nd of February, both of whom died of wounds. On the 3rd of February A Company clashed with 7 Viet Cong during their days patrolling, killing 1 and wounding 1. Meanwhile C Company had located 3 enemy camps, 2 of which were at least company size. The remainder of the Battalion flew out on the 4th of February. 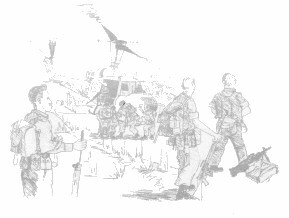 Later that day B Company found a platoon-sized camp that had hurriedly been evacuated on the edge of the landing zone. A Squadon of the 3rd Cavalry Squadron, in APCs found a further 3 squad-sized camps on their patrolling. 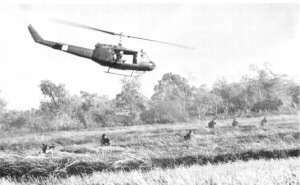 The patrolling and ambushing continued on the 5th and 6th, yielding 3 Viet Cong killed, with 1 of our own wounded. On the morning of the 6th a tragic accident occurred, when fire from 161 New Zealand Field Battery fell in D Company's location killing 4 and wounding 13. One of the four killed was Warrant Officer Jack Kirby, the CSM of D Company, who less than two months previously had been decorated with the Distinguished Conduct Medal for his actions in the Battle of Long Tan. The operation was due to end on the 7th. However, an extension of one day was given as it was considered the enemy would move into Dat Do on the eve, of the TET and beginning of the truce. This did not eventuate and there was virtually no enemy activity in the ambush areas prepared by A and B Companies that night. Small quantities of food, clothing, equipment, documents and medical stores 8 enemy camps destroyed.